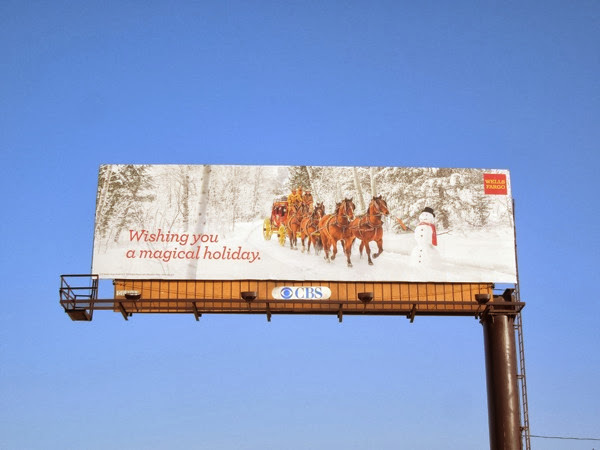 Daily Billboard always appreciates when companies go the extra mile and produce jolly holiday billboards to fill the skies with festive cheer, like this wintery stagecoach ad creative from Wells Fargo bank. 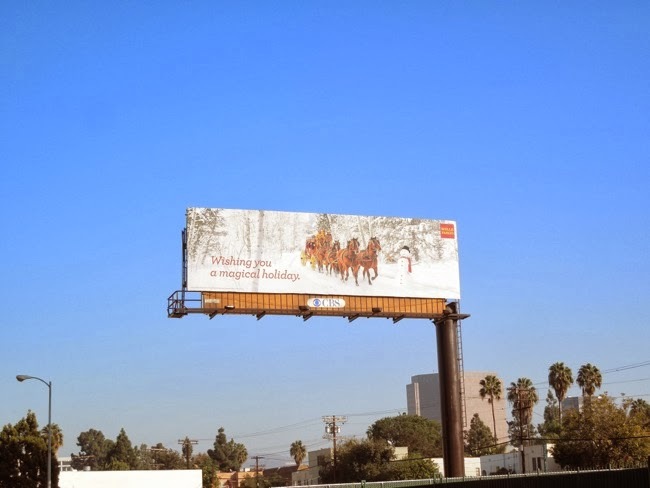 Considering that Wells Fargo's stagecoach is a piece of American history, as the bank really did use six-horse stagecoaches to conduct their business in the past, this snowy scene (complete with snowman) helps reinforce the bank's heritage and brand identity, plus spreads tidings of comfort and joy at the same time. 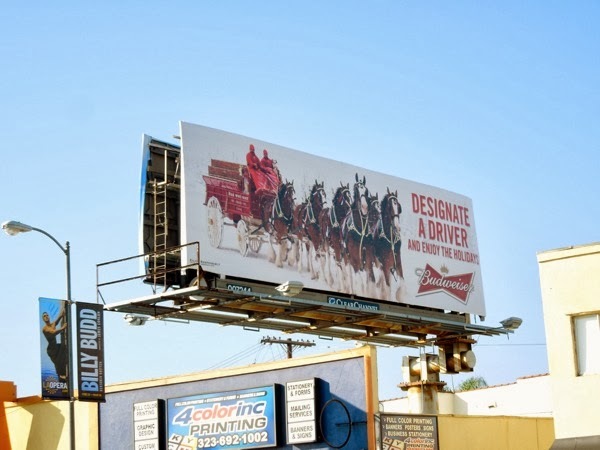 It's not the only ad this holiday season to feature a horse-drawn carriage though, as Budweiser had the same idea for its 'designate a driver' campaign, giving it a festive snowy twist. 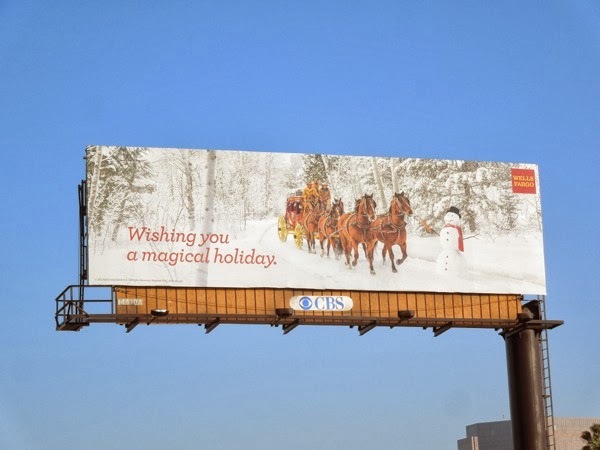 If you like this magical holiday ad snapped along La Cienega Boulevard on December 22, 2013, be sure to also check out Wells Fargo's festive holiday billboard from 2011. 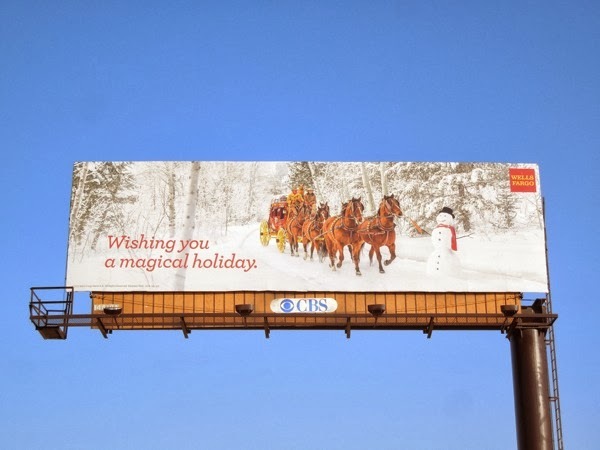 Merry Christmas Eve everyone, just one more sleep until the special day.